Vine Guesthouse in Stellenbosch, in the Winelands of the Western Cape is one of the newest conference venues listed on Conference Venues SA. Vine Guesthouse is home to exclusive and centrally located accommodation in the heart of the Cape Winelands. Situated on Bottelary Road, we are in close vicinity to the historical cities and towns of Stellenbosch, Cape Town, Paarl and Franschoek, as well as countless wine farms and golf courses. 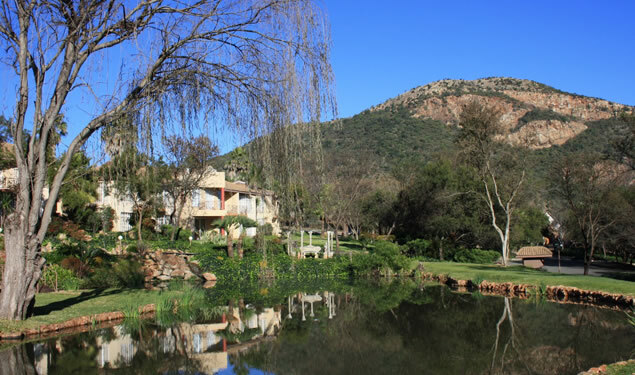 Owned and run by the Smith and Bainborough family, we are here to ensure that your stay in the Western Cape is a relaxed and enjoyable one – whether you’re looking to find your zen poolside in peace and quiet, or to explore the beautiful surrounding Winelands and Peninsula. 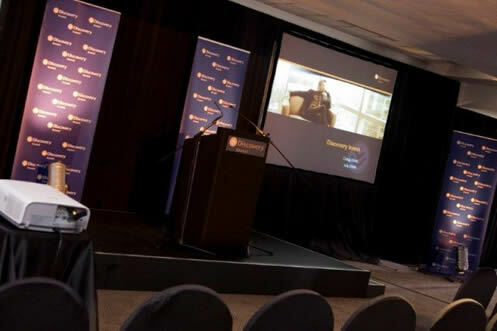 The Radisson Blu Gautrain Hotel in Rivonia is walking distance from Sandton Gautrain Station, where the high-speed rail provides easy connections from and to OR Tambo International Airport, Johannesburg city centre, Pretoria and Soweto. Situated in Sandton, South Africa’s premier business and financial district, the hotel offers 216-guest rooms modern in both amenities and design. The rooms perfectly complement with the exceptional hospitality and extensive conference facilities. The Radisson Blu also offers modern comfort food in the Central One Restaurant, as well as a sleek pool deck for relaxation and recreation. Inviting and stylish, the 216 rooms at this accommodation in Sandton offers a restful space with lovely city views. The sophisticated and warm design melds with the homelike convenience of amenities like spacious work desk, a hair dryer, iron and ironing board. Each room provides a flat-screen television with satellite channels as well as pay-television movies, free high-speed, wireless Internet access. Turndown service is offered in the Business Class Rooms and the suites. The Radisson Blu Gautrain Hotel enjoys an unequalled location directly across from the Sandton Gautrain Station and 500 metres from the Sandton Convention Centre. With the proximity to premium shopping areas, the conference venues are even more appealing for downtime after business. The hotel offers 2 stylish boardrooms and 7 stylish meeting rooms, with the largest venue accommodating up to 600 delegates. Whether you’re planning an industry-leading conference or small but crucial board meeting, the hotel’s well-trained meeeetings and event staff will be by your side to make it a success. You will have complimentary access to a well-equipped business centre, modern audiovisual equipment and free high-speed, wireless Internet access. Quaint Pringle Bay village is absolutely unspoilt, with a peaceful pace and natural beauty. No high-rise buildings or industry are allowed in this friendly and warm destination, making it ideal for business seminars, leisure travel, conferences or weddings. Sea Villa Glen Craig is approximately only one hour drive from the Winelands and Cape Town and Pringle Bay is certainly one of the safest villages in South Africa. Sea Villa Glen Craig is an ideal conference venue for groups to get together for seminars, training and 3 star conferences in Pringle Bay for those special private functions. Guests awake to clean, crisp Fynbos and sea air, impressive mountains and an ever-changing ocean. Personal service by dedicated, energetic and enthusiastic permanent team with their meticulous attention to detail is the essence of their philosophy, blending real established South African hospitality with international, high-class standards, making Sea Villa Glen Craig, an ideal venue. Sea Villa Glen Craig has well appointed, intimate conference facilities for this, as well as being able to offer adequate charming overnight accommodation to make your business function one to remember.